Should I Renovate my Bathroom? Should I renovate my bathroom? Of course you should! The bathroom is a place where you get ready, a place where you relax, and a place that needs to be functional and aesthetically pleasing. Not only can it do all these things for you, but it can also increase the value of your home. 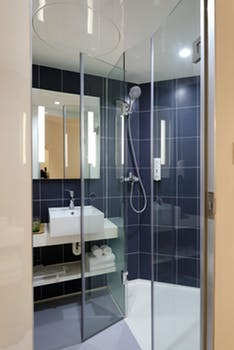 Renovating you bathroom can add value to your home. Think about how satisfying it would be to design and renovate your bathroom the way you want it, and then when you’re ready to sell, have the comfort of knowing that you’ve increased the value of your own home at the same time! Investing in a new bathroom is often a win- win situation since they give you one of the best returns when you renovate and sell your home. Renovating your bathroom the right way, will not only increase it’s usability, and comfort, but its also a great investment. As a focal point, your bathroom can be a lot of things, it can be a place relax, get ready for a night out, or just a place to refresh. If you’re someone who likes private time and enjoying that time in a functional and aesthetically pleasing space, then renovating your bathroom is something you should really do. The most important thing about renovation is renovating it for yourself, because that’s where the real value is. Contact us so we can talk about how to make the dream bathroom you personally want!